Microsoft rolled out some of Windows 10 Creators Update gaming features to some Windows Insider Program members Wednesday. The company also released a video preview of the Windows 10 Game Mode, explaining its functioning. “Our vision is that Game Mode optimizes your Windows 10 PC for an improvement in overall game performance. This week’s Windows Insider build represents the first step on our journey with Game Mode,” Scott Henson, manager of Xbox Partner Group Program said in the official press release. With the introduction of Game Mode, Microsoft seems to be targeting PC gamers. The company has endowed the upcoming Windows update with special gaming features. While some parts of the Game Mode have already been revealed, the full gaming experience using the mode was launched to members of the Fast Ring who are in line to get software updates first. Game Mode is an optional setting and you can turn it off if you don’t intend to use it. It isn’t just a software tweak — once the feature is enabled, CPU and GPU cores will be dedicated to gaming, improving overall gaming performance as games will have a more consistent frame rate and a better peak frame rate, utilizing these system resources. It is designed for both Win32 games (32-bit games developed using Windows API) and Universal Windows Platform (UWP) games. Windows 10 Creators Update will also make it easy for gamers to stream their games. It has a feature called Beam which is designed especially for gamers who want to live stream their gaming experience on video sharing websites such as YouTube. The feature will help regular gamers create a gaming stream like YouTubers such as PewDiePie. It will also let users connect and engage with viewers in real-time with less than one second of delay. A new feature called Broadcasts has also been incorporated in the gaming bar which will let you simply start a broadcast by using the ‘Windows+G’ shortcut. A side menu will give users options to interact with fellow gamers. Additionally, the System setting will now have a Gaming section. It will show settings which can be used to customize the Game bar, Game DVR and broadcasting. 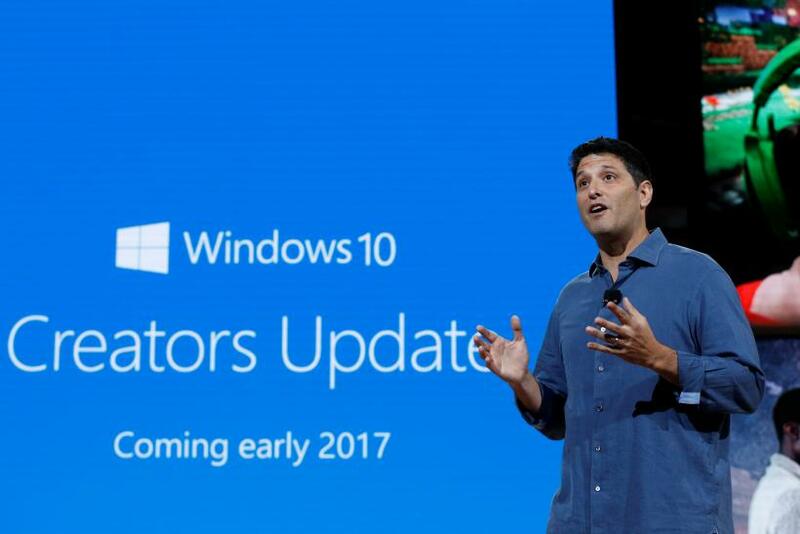 The official Windows 10 Creators Update is expected to roll out to all Windows 10 PCs by Spring 2017.